Edelweiss Travel Company is frequent attendant and exhibitor of many international travel fairs worldwide. 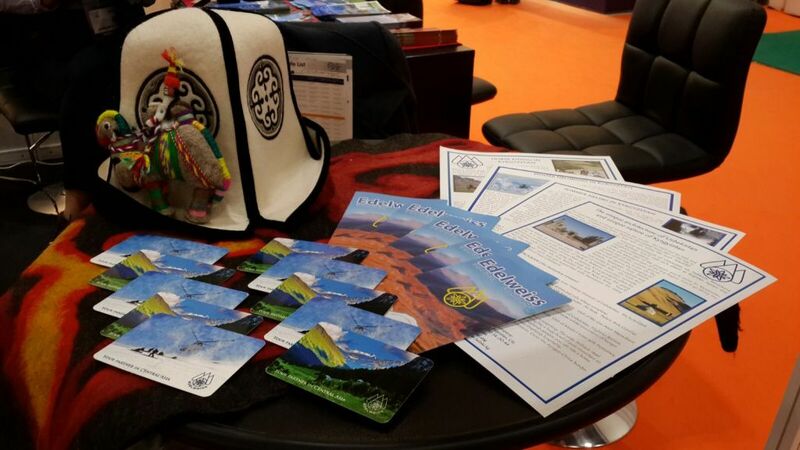 This time we successfully exhibited at World Trade Market (WTM) in London that started on 2nd of November. We were exhibiting with our frineds from partnering companies of Kyrgyzstan. 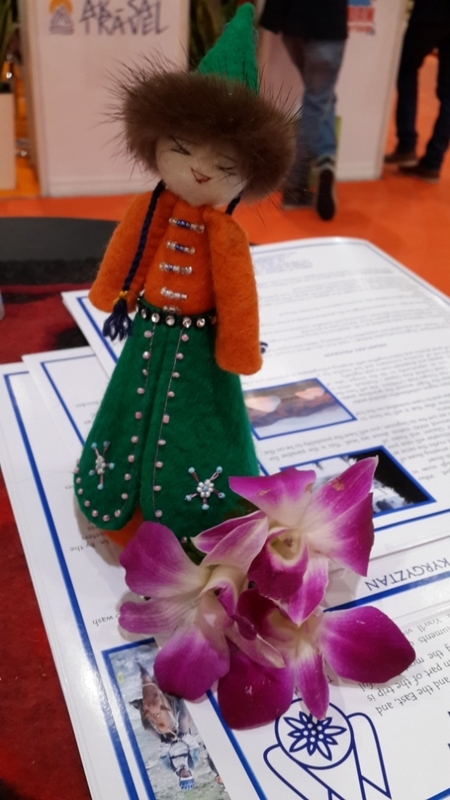 We found WTM to be very exciting and fascinating travel venue – thousands of interested buyers, hundreds of bright booths attracting visitors to approach closer. 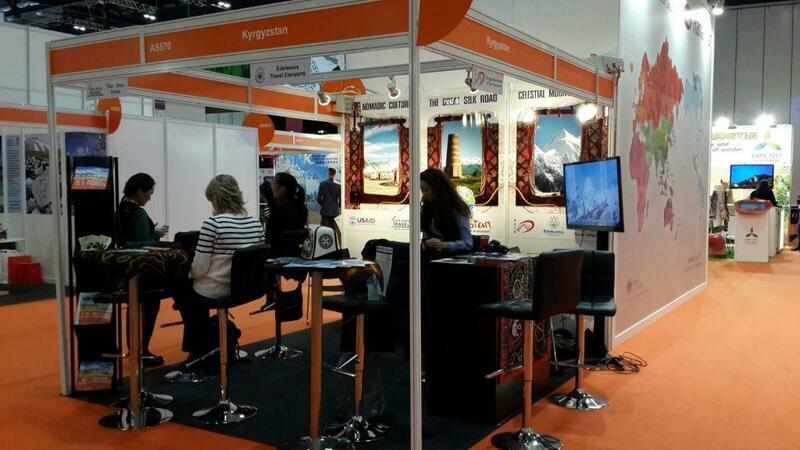 Our representative at WTM says: “We found out a rising interest among traders and representatives of British and international tour operators in cooperation with tour operators from Kyrgyzstan. People are searching for new destinations for their vacations where the civilization hasn’t influenced negatively on culture and nature environment. Also there is a high interest towards Great Silk programs”. Also we were happy with Kyrgyz Embassy visit to our stand. 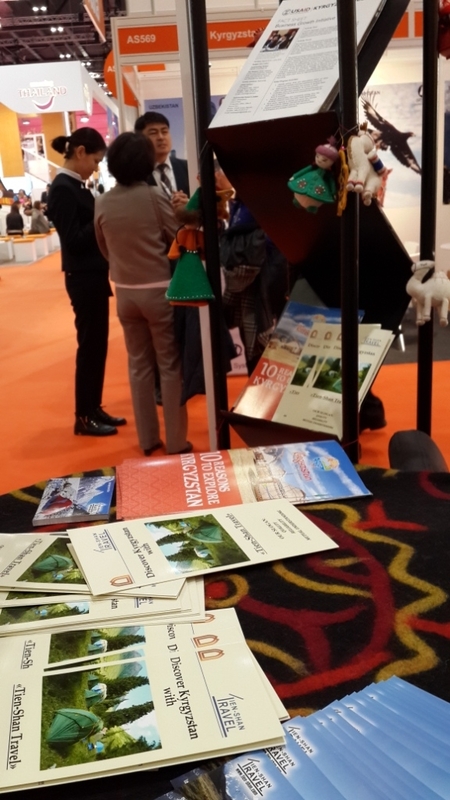 As any bright and holiday WTM is already finished, but we are full of hope to exhibit there in 2016 and tell the audience more about our little dreamlike country. Previous Post New plans and winter programs 2016 Next Post Merry Christmas and Happy New Year!